Limit values for cleaning the blow-by gas become more stringent, oil particles are becoming smaller. Reinz from Neu-Ulm in Germany, a subsidiary of the U.S. American company Dana, has therefore developed – jointly with 3nine – a disc type centrifuge for combustion engines which separates especially oil particles smaller than 0.6 µm from the blow-by gas, and that at nearly 100 %. 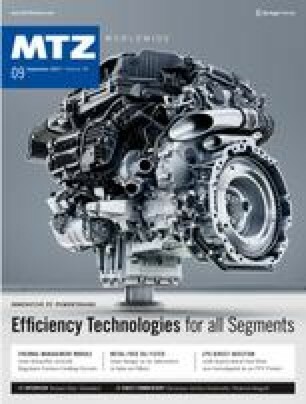 The evolution of passenger car engines advances at great strides: The quest is on for more efficiency, more power at lower fuel consumption. Cylinder pressures and oil temperatures therefore increase to achieve enhanced efficiency. The number of lubrication points and oil injection nozzles for friction optimisation in the drive train, and thus the circulating oil volume in the engine, increase. Low-viscosity motor oils are therefore used increasingly. This presents new challenges to crankcase ventilation and systems for cleaning the blow-by gases.